Nissan Saudi Arabia is offering great offers in 2016 on past year's model cars and SUVs including Nissan Sentra, Nissan Altima, Nissan Urvan, Nissan Armada, Nissan Patrol and Nissan Xterra. 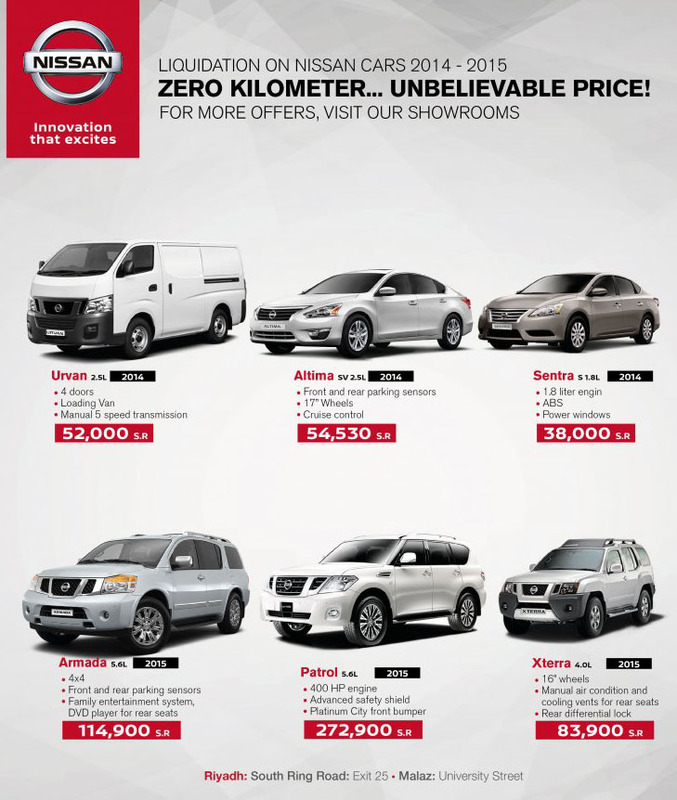 Below are special offers from Nissan Saudi Arabia. These offers are only available at Nissan Riyadh showrooms as advertised by Nissan Saudi Arabia at Riyadh South Ring Road, Exit 25 Malaz University street.